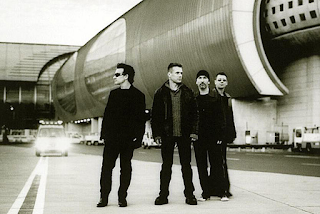 After 1997's "Pop", a poorly-received venture into dense, programmed electro-dance rhythms, U2 returned nearly four years later, deciding to launch another different phase of their career. They returned to the radio-friendly commerciality that was still present in 1991's "Achtung Baby", despite its avant-garde "industrial" soundscapes. Gone were the programmed drums, tape loops and inscrutable, intransigent instrumentation. Unfortunately, their latest renaissance was delivered by Bono stating that "we need to re-apply for the job of "best band in the world"...". Oh dear. If ever any evidence is needed as to why Bono polarises opinions, there it was. No band is or was "the best band in the world". Not The Beatles. Not Led Zeppelin. Not the Clash. Certainly not U2. 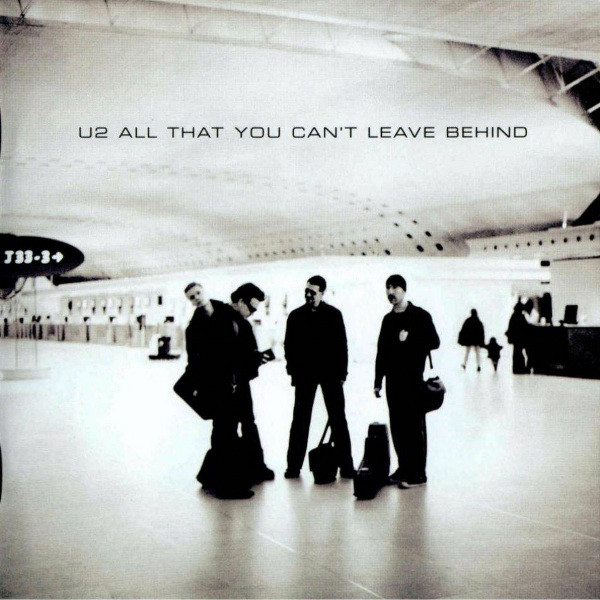 This is perfectly exemplified in the first three tracks - the singalong, feel-good "Beautiful Day" (although not too joyful so as not to be tempered by Bono's concerns over the tuna-fishing industry); the typically anthemic Radio Two staple of "Stuck In A Moment You Can't Get Out Of" and the rhythmic, catchy "Elevation", which was dance-y but chart-friendly at the same time. Far more than, say, "Discotheque" was. "Walk On", with its Beatles hints in places, continues in the same vein, with an updated positive "Joshua Tree" feel and a warmth of sound that breathes. The dense, crashing industrial sound of the factory floor was now converted to an airy, open plan office, complete with a water cooler for discussions about the world's issues. "Kite" is an earnest mid-paced piece of "half way through the set" stadium rock by numbers. Full of meaningful lyrics, excellent guitar and a rising chorus. Fine for those swaying arms. 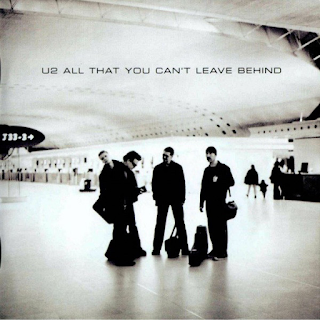 Bono's voice sounds ageing on "In A Little While" for the first time, but it is an agreeable enough slow typical U2 ballad. "Wild Honey" is a delightfully melodic, acoustic-driven lively song that is one of the lightest, most soulful songs they had ever done. It has the energy and enthusiasm of the first three albums but is softer in outlook. It reminds me of some of Bruce Springsteen's later material - rocky, catchy and tuneful. 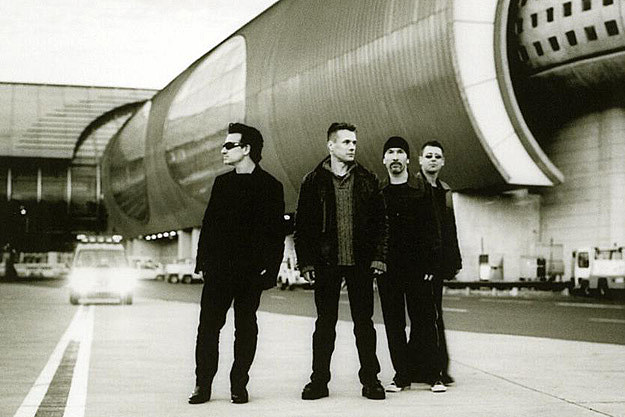 This is as loose and carefree as U2 have ever sounded. "Peace On Earth" has Bono going a bit Michael Jackson, but it displays a darker, mournful side to it. Again, for me, it is very Springsteen-esque. There are strong hints of Deacon Blue in there too, particularly in the song's denouement. "When I Look At The World" has a bit of a slowed-down dance rhythm backing but again, it is far more accessible than the previous few albums' material. The sound is once more far more open as indeed are the vocals. No more incomprehensible mumbling. The very Lou Reed-esque "New York" is a most evocative, atmospheric slow-burner of a song. It is my favourite song on the album, with its accurate descriptions of how hot a New York summer is. When it bursts into life after a few minutes it positively rocks with a majesty U2 had not summoned up for many a year. "Irish have been coming for years, feel like they own the place...." sings Bono, wryly. "Grace" is an emotional, sensitively-delivery slow number too with Bono's voice far better than it had been for a couple of albums. "Grace finds pity in everything - she carries the world on her hips..." that line evokes Talking Heads' "The Great Curve" from "Remain In Light". It is a truly lovely song. U2 traditionally end albums with a sombre-ish number and they do here with "The Ground Beneath Her Feet", which, although ok, seems to pass me by just a little. It comes to a slightly abrupt ending too. Overall, though, this was a refreshingly appealing album.